Erick Tsiknopoulos is available for commissioned translation work from Tibetan into English; and also from English into Tibetan. He offers an academic and publishable level of high quality, professional Tibetan-English translation. For examples of the more recent textual translation work of Erick Tsiknopoulos, please see the list of his translations done from 2014 onward, under the Chronological List of Translations here on Tibetan-Translations.com; or simply view some of his translations published on this site over the last year or two. Erick Tsiknopoulos is especially skilled and experienced in the translation of Tibetan Vajrayāna and Mahāyāna Buddhist scriptures and practice texts; in particular, sūtras, tantras, dhāraṇīs, mantras, sādhanās, Tantric practices and rituals, prayers, philosophical works, poetry and verse, biographies and historical writings. These genres have become his main areas of specialization and translation expertise; and they have constituted most of his translation work, both commissioned and personal projects, since 2007. Over the course of the last several years, there has been more emphasis placed upon the translation of sūtras, dhāraṇīs, mantras, sādhanās, Tantric practices and rituals, and prayers; partly because these are usually the kinds of texts that are requested by clients, especially practice-related texts. However, he is able to accurately translate most Tibetan texts, due to familiarity with the terminology and concepts of most genres of Tibetan and Buddhist literature. This familiarity has come from relevant readings and translations, extensive field research, philosophical and linguistic study among the Tibetan communities of South Asia over a period of many years, as well as the formal academic study of Buddhism. Since 2007, he has translated, under the guidance of native Tibetan scholars, several hundred texts from Tibetan into English; the vast majority of these are Buddhist in nature and content. Most of these are available for viewing on Tibetan-Translations.com. There are some translations which are not available for viewing on this site, such as the many thousands of pages of translated material from the The Heart Sphere of Yuthok (g.yu thog snying thig), an immense collection of Vajrayāna Buddhist texts related to Traditional Tibetan Medicine, consisting of 513 oversized pages of esoteric Tantric practices, instructions and rituals. Many of these will be published later. Having spent over a decade in India and Nepal studying Tibetan Buddhism and language since 2007, under the long term guidance of numerous Tibetan teachers and intellectuals, Erick Tsiknopoulos, in consultation with native Tibetan scholars, utilizes his fluency in spoken Tibetan language, his literacy in written Tibetan language, his nearly 20 years of in depth Buddhist study and practice (since 1999), and his prolific experience in the field of Tibetan-English translation (since 2007) to produce professional and top quality Tibetan-English textual translations. In these translations, he strives for authenticity and accuracy, according to the standards of the native Tibetan tradition; including not only its religious messages and spiritual meanings, but also its cultural, linguistic, philosophical, artistic, symbolic, mythological, and historical interpretations. All of these aspects and stages of the translation process are based on a firm experiential foundation in understanding how a given Tibetan text would generally be read, understood and interpreted by native Tibetan audiences themselves, within the wider context of Tibetan culture, linguistics and religious thought; and Buddhist theory and praxis more broadly. Here, English translation choices are based upon the intellectual and cultural patterns, and contextual linguistic correlates, of both the learned Tibetan Buddhist scholar and the average Tibetan layperson. That is to say, the translations are done from an “insider’s perspective” as much as possible, while also relating this more culturally sensitive approach to the concerns of the “cultural translation” into Western and English conceptual norms and literary themes. In addition, the Tibetan-English translations of Erick Tsiknopoulos also meet the general requirements for presentable academic papers, conference submissions, and post-graduate essays, including Master’s dissertations and PhD theses. Upon completion, these translations are also essentially ready for publication or other public use. 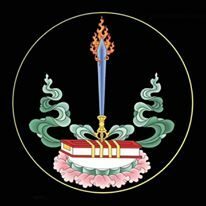 If you would like to have a Tibetan text, book, or phrase translated into English, or an English text, book, or phrase translated into Tibetan, please use the contact form below. Alternatively, you can directly email Erick Tsiknopoulos at Erick@Tibetan-Translations.com or EmptyElephant@yahoo.com. If possible, please include photo scans or photographs of a few pages of the text or texts to be translated as attachments in your emails. Our team will respond by email with information regarding translation rates and other details. If you have any questions, please feel free to ask. We look forward to hearing from you. Regarding scheduling and deadlines for translation projects with Erick Tsiknopoulos, there are often many clients at one time; and usually, their respective translation projects must be completed in the order in which they are received. In general, the operative principle here is, “First come, first served”. However, we try to be as accommodating as possible to clients about time and schedules. Although quality, accuracy and thoroughness take precedence over speed, the goal is to produce the completed textual translations which have been commissioned in as efficient and timely a manner as possible. Depending on the number of pages, size and type of the pages, respective subject matter of the texts, overall work load, other translation projects, and so forth, most translations of individual texts (10 to 100 pages) generally take between 1 to 10 months, as a broad range. For example, a thirty (30) page text can take between 1 to 3 months to complete, while a 60 page (60) page text can take between 2 to 6 months to complete; depending upon the aforementioned factors, and in particular upon previous translation commitments. Please state your preferences and needs regarding dates and scheduling for the completion of your translated text; and we will work out a solution which is mutually satisfactory and practical. Special considerations are made for those who are under specific mandatory deadlines (official events, official retreats, etc.). It should be noted that the agreements made with regard to the scheduled deadline or estimated completion date of a translation project is a mutual negotiation between the translator and the client, and therefore should not be based on demands from the side of the client. It also depends largely upon the previous working commitments of the translator. In particular, the textual translations of Erick Tsiknopoulos are done according to a very high level of quality; one which is suitable for academic papers, publication, and public use. In other words, these translations are being done to the highest possible professional standard of modern translation practice. This necessarily requires many hours of research, consultation, editing and proofreading. It should also be noted that, with respect to the translation of Tantric or Vajrayāna literature and practice texts, there are often many subtle points, and rare terms, which require extra attention and time. This should be taken into consideration when commissioning Esoteric Buddhist works in general, and Vajrayāna practice texts or sādhanās in particular; which also require the time-consuming process of writing out the Tibetan phonetics for chanting and recitation.